You may have heard some of the talk. The risks for car accidents in the U.S. are diminishing. WRONG! Well, they were until we set foot in 2012. According to CNN, the number of people killed in car accidents in up close to 15 percent. Officials recently calculated the year’s first quarter numbers and it’s not looking good. 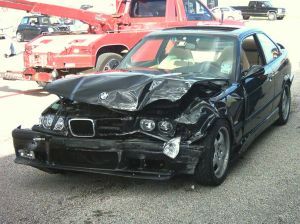 During the first quarter of 2012, there were close to 8,000 people who died in motor vehicle accidents. In the first quarter of 2011, we saw about 1,000 fewer roadway fatalities. Our Boston car accident lawyers understand that officials haven’t pinpointed the cause, but they’ve got some suspicions. One of the most likely, officials say, is the weather. Since we had a warmer winter season than normal, drivers were more likely to be on the roads. Warmer weather brought ideal driving conditions, drivers ventured out, increased the number of vehicle miles traveled and increased the risks for accidents. The more time drivers spend behind the wheel, the more accidents we see. “AAA agrees that warmer-than-average winter weather may have contributed to higher vehicle miles traveled, and ultimately more fatal crashes,” said Jacob Nelson, director of traffic safety advocacy with the Automobile Association of America. This is the largest year-to-year increase that we’ve seen since these stats were first recorded back in 1975. What might be most alarming about it is that it’s only expected to get worse. Typically, the first quarter of the year is the safest. The number of vehicle miles driven has increased by nearly 1.5 percent from last year. This is also expected to rise as the year progresses. The more time we spend on the road, the higher the risks are for an accident. It’s a trend we’ve seen for decades now. The number of accidents directly correlates with the number of vehicle miles traveled. Since 2006, we’ve been seeing accident rates across the country decline, until now. With this turnaround, safe driving advocates are asking for more emphasis. They’re asking for stricter road laws and for tougher enforcement of them by law enforcement officers. In many cases, such as the seat belt law and enforcement, tough laws and strict enforcement have helped to decrease the number of roadway fatalities. Safe driving advocates are asking for officials to do more of the same with drunk driving, distracted driving and other dangerous driving habits. They also want more education, saying that knowledge is another key point in helping to make our roadways safer for everyone. Talk with your friends and family members about the risks associated with dangerous driving habits. Safer streets are a group effort. Practice your most responsible driving habits during every car ride to help to stay out of a potentially fatal car accident in 2012. If you have been in an accident, call the Law Offices of Jeffrey S. Glassman to set up a free and confidential consultation to discuss your case. Call 1-877-617-5333.